In a recent interview with Spin magazine, Disclosure compared their debut album to Daft Punk: “it's a vocal album…There aren't many dance albums with full vocals. We don't really know why. You need the vocals to capture your tune and lift it now and again." Now, ‘Settle’ doesn’t quite live up to such lofty claims as a Daft Punk comparison, but this is certainly the most important dance album of the year. And with a total of nine guest appearances from various soul singers, vocals play a huge part in the duo’s appeal. So much so, in fact, that when Disclosure are left to their own devices, the results are a little disappointing. Their revival of deep house and UK garage is wholeheartedly the sound of ‘now’, but their aesthetic is narrow. Similar beats, bass drops, repetitive voice samples and psychedelic house riffs are used throughout ‘Settle’, drawing a fine line between formulaic and distinctive. Where Tenderly features an incredible central riff or Second Chance creates a moment of blissful calm at the album’s centre, tracks like Grab Her! and What’s In Your Head are monotonous and lack the same inventive hooks. Yet just when you’re getting bored, the duo hit you with another massive tune vying for your head space. 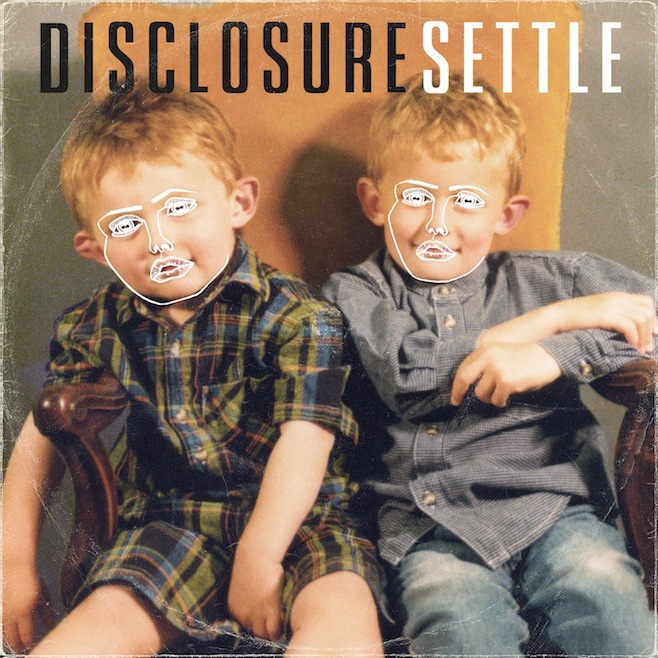 Unusually for a dance album, ‘Settle’ is packed with potential singles, its emphasis on vocal melodies not only providing a platform for some up-and-coming vocalists (Sam Smith, AlunaGeorge) and fading vocalists (Eliza Doolittle, Jamie Woon), but injecting the album with mainstream appeal that will transcend the charts and the clubs. It’s a theme that starts with the giddy rush of Latch and continues with the itchy cool of White Noise and current jam You & Me with its ecstatic bass drop. Defeated No More and January, meanwhile, drop the tempo a little for a more relaxed, sun-kissed vibe. And with the brothers’ remix of Jessie Ware’s Running included, it’s good to see she’s returned the favour by featuring on the filthy Confess To Me. Nestled in towards the end is Help Me Lose My Mind with London Grammar. The haunting, delicate electro of the latter brings a different slant to Disclosure’s sound that’s a welcome diversion, Hannah Reid’s vocal providing a hint of melancholy in an otherwise joyous record. Sublime stuff. After the huge success of their recent singles, the pressure was on for the Lawrence brothers to deliver. They may only be just old enough to go clubbing themselves, but ‘Settle’ ushers in a new era for clubbers. Flowing like a continuous set-list, simply press play on the soundtrack to your summer nights. Listen: ‘Settle’ is available now. Watch: The brothers will be playing at Latitude, Global Gathering and Leeds/Reading Festivals, as well as a headline tour towards the end of the year.